It’s Wednesday night and school will be closed tomorrow due to the snow storm. My daughter Yanah wants to make her lemon cake. 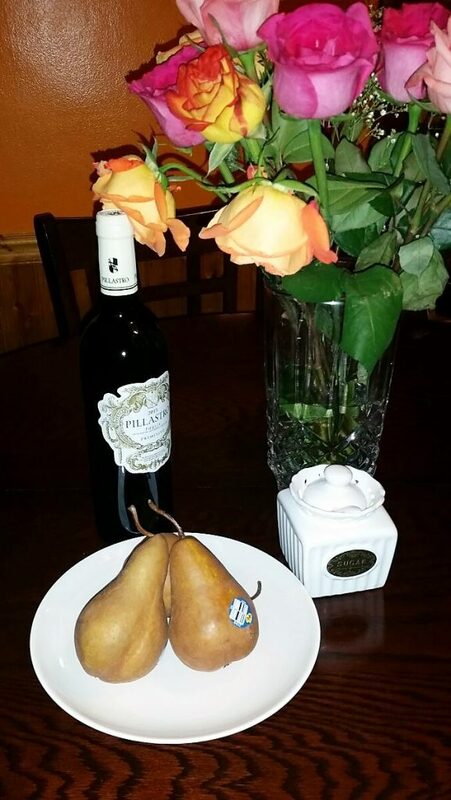 I am in the mood for something fancier, I have pears, wine, and sugar. 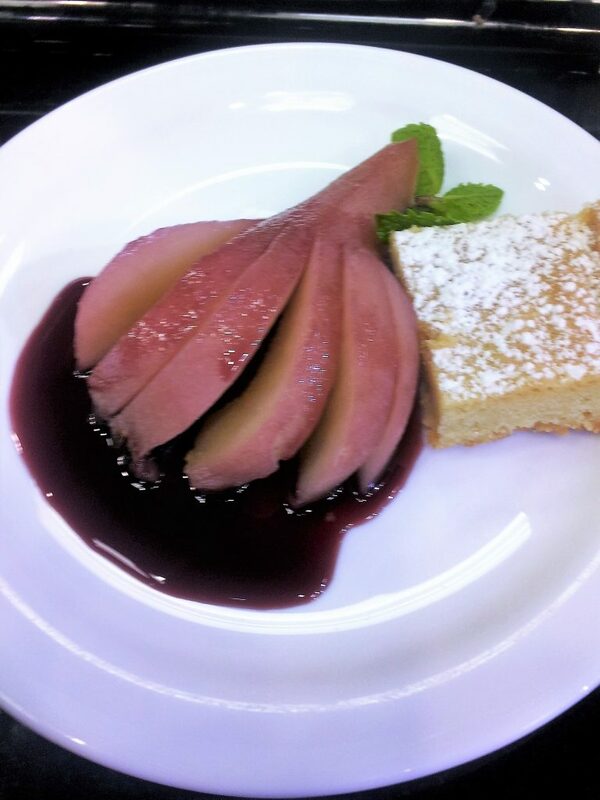 So why not make Poached Pears in red wine. Water (3 cups approximately) as needed. Peel the pears leaving stems intact. In a large pot bring wine, sugar, water to a boil, stirring to dissolve the sugar. Add the pears to the poaching liquid adding water if needed to cover the pears, bring to a boil, cover and reduce heat to a simmer. Cook 25-30 minutes or until tender. Remove from the heat and allow pears to cool in the poaching liquid. 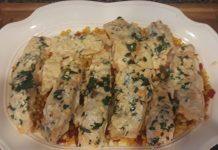 The first time I made this recipe, I served it with vanilla ice cream. Today, I am enjoying it with cake. Let me know what do you think and how would you serve it. Is that it? I had no idea poaching a pear was so easy. I can do this if I remember to save some wine next time. Rose, that’s how I learn to make and it’s pure joy to my mouth. Yum!! That looks absolutely delicious – do you deliver? I bet it was amazing with ice cream too! Next time, you are in my town, stop by, I will make it for you, Destany. That looks great with either cake or ice cream. Or maybe next time both! I might take your words for it, Stephanie. 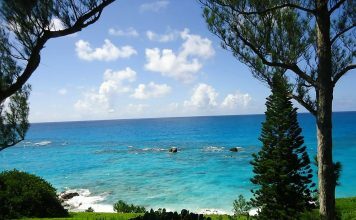 Sylvie Anne, thank you for your comment! wow must be very delicious i believe . It will be great if it is mixed with cake.. ! Ajay, it’s simple and delicious! 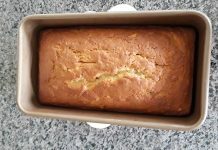 I had to please my 12-year-old daughter and as she was determined to make her cake mix, I could not resist to let her do it and add it to mine. This sounds like such a wonderful and delicious recipe! I had no idea this could be so easy… I will definitely try it out! It is easy, delicious, and pretty, Shell. That sounds like my kind of snow day! It looks delicious. I have actually never had pears like that. I always assumed it was a complicated process. Thank you for sharing! Give it a try and let me know Sarah. This looks so tasty. This would defiantly warm you up on a really cold day. Yummy. It did Robyn. It is way too cold for me. Stay warm! The temptation was there, the only reason, I did not have both because I did not have ice cream. Pears are good on their own. However, this recipe sound scumdiddlyumptious. I need more time to cook all the cool things I find online. For real. Danielle, try them and remember to share recipes and pictures. Bon appetit! Oh wow that looks and sounds delicious! I think I need to try this out for sure. Jazmin, try it and let me know. Oh this sound so delicious! 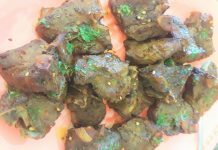 I have never tried this recipes with red wine. I think it would be so much tasty. Jake, it is, let me know when you make it. Wow, that sounds delicious! I don’t cook with alcohol, but is there something that would make a substitute? I usually make a ginger syrup, it’s a simple syrup that I add ginger to it. I am sure the ginger syrup would be delicious with the pear. You can always come and I will poach pears especially for you, Karen Monica. I have to say that looks amazing. I never used to like poached fruit but as I’ve grown up I certainly like the idea of poaching them in red wine! Give it a try, Jenn, and let me know. I like it. I really crunch pears and I can’t wait for them to be back in season. Anyway, since you’ve shared a nice recipe for pears in red wine, I’d want to try it out! Try and let me know, Dalene! sounds absolutely delicious. never had food that cooked with alcohol but your post seems so much tasty. It’s easy and tasty, Elizabeth! It’s perfect for girls night in. I’m never tried poached pears. I think this is a sign! Thanks for this! 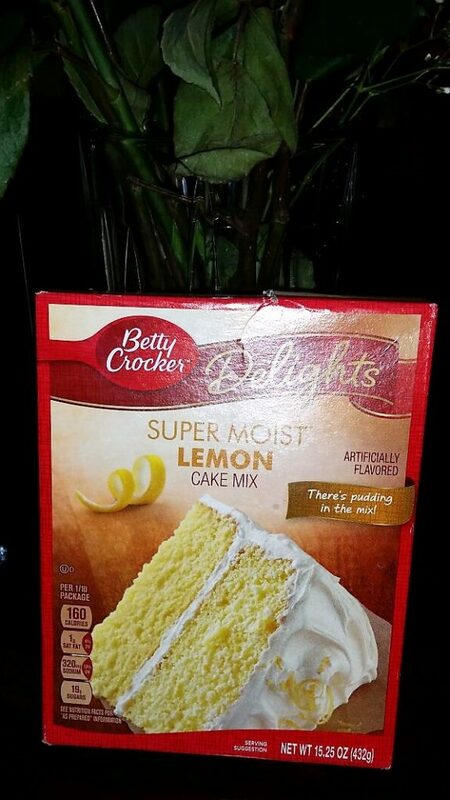 Way to make cake out of the box look fancy! And what you did actually looks doable! Thanks, Liz, and it was pretty delicious! This looks good! I have to recommend this recipe to my friends.